A rather coarse, erect, glabrous branched, rank-smelling annual herb, 0.4 to 1 m high. Leaves: 4 to 11 cm long, very deeply pinnatifid, the lobe lanceolate, coarsely and sharply toothed, 1 to 2.5 cm long. Flowers: heads solitary, long-peduncled, the peduncle thickened upward, 2.5 to 3.5 cm long, 2 to 4 cm in diameter, the involucre green. Ray flowers 1-seriate, female, the ligule entire or 2-toothed, short or long; disk flowers, perfect, regular, tubular limb usually somewhat enlarged, 5-fid, flowers pale to deep yellow. Fruits: achenes, linear, narrowed below, compressed or angled, 6 to 7 mm long. Spontaneous and naturalized in some localities. Collect from October to January. Anemia,Irregular menstruation, abdominal pain during menstrual period, Rheumatic muscular and bone pain. This entry was posted in List of Medicinal Plants in the Philippines and tagged amarillo on March 6, 2009 by Pinoy Herbs. does amarillo was conducted to observe blood platelet? how can we observe that amarillo is effective for blood platelet? There seems to be a lot of contradiction and confusion when it comes to Marigold uses and identification. Some say Calendula off. is the one and only. Others say Tagetes is the one to use. 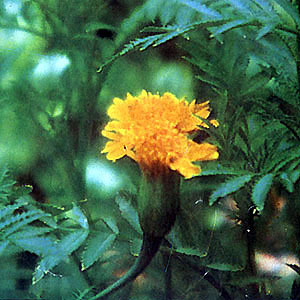 I have a five petal (said to be Marigold) that is not matched in all the pictures that I’ve found on the internet so far. I tried to download a picture of it here, without sucess. If there is someone who can identify it please send me youe e-mail address and I’ll email a reduced picture to you. The same applies to Elderberry.